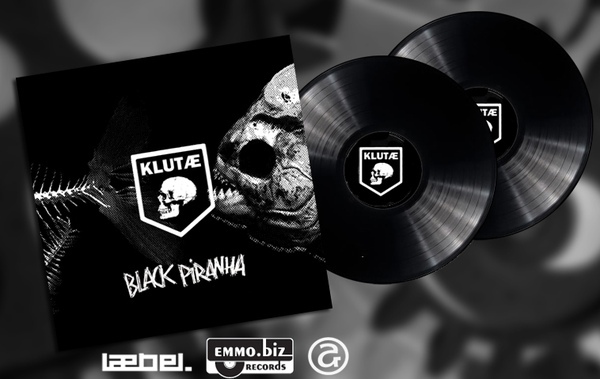 Klutæ's successful new album "Black Piranha" is now awailable on Double Vinyl, including 4 non album songs that is not available on the Limited Edition CD-version. Claus Larsen (Leaether Strip, Am Tierpark, Sequential Access, Klutæ) is back in full force with his electro punk side alter ego KLUTÆ with a new shiny album titled "Black Piranha". It's been 6 years since the very successful "Electro Punks Unite" album from 2011 so it's time to get the Electro mosh-pit going again with some fresh new Old-school electro/EBM punk. It doesnt get any harder than this so hop on and enjoy the ride! Wake up the Punks!